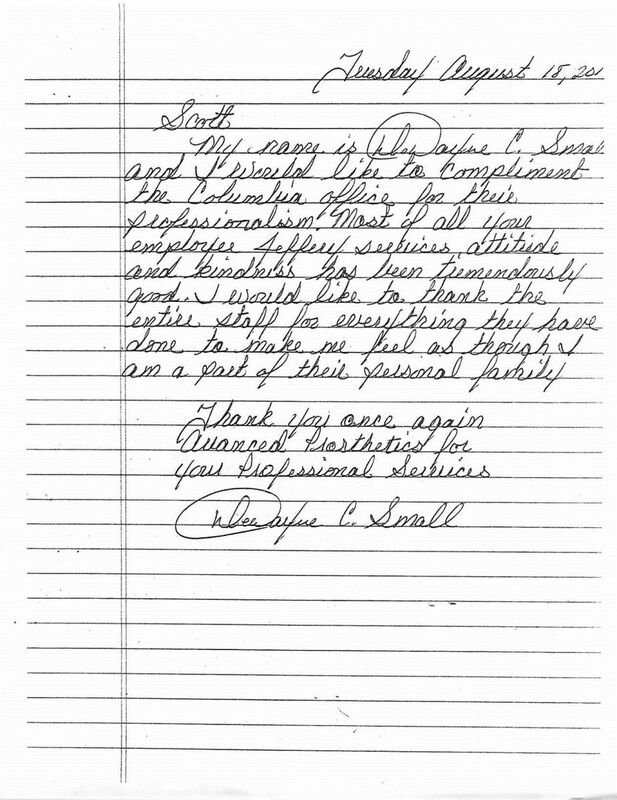 Mr. Small has been a wonderful patient, and we have enjoyed working with him. He decided to write us a letter telling us how much he appreciated our services. Thank you Mr. Small!! !